At the Mountaineer Inn near Wheeling it’s simply the “Slim Jim” on the menu just as it was for more than 30 years at Elby’s Family Restaurants. It’s not served on the grilled Grecian bread topped with sesame seeds, and but the ham, the lettuce and tomato, the Swiss cheese, and their own version of special sauce, too, are all there. The owners of these establishments sell these legendary menu items because people still want them. A few decades ago in Moundsville taking a date to Elby’s was something of a status thing, and in Wheeling it signaled the relationship was getting fairly serious, and the same was the case in all the communities in Ohio, West Virginia, and western Pennsylvania, where that Big Boy statue could be seen and hugged by many. It was Elby’s, an institution with owners who made a difference in all of those cities and towns in which the eateries were located simply because it was important to them. Mike Boury was the food guy, the brother in charge of the commissary, each and every ingredient down to the Jamaican relish in the tartar sauce. Ellis Boury was the peacemaker when possible, with the brothers, the public, and the company’s workforce. And then there was George Boury, the flamboyant one who was always the first in town with the fun, expensive toys and a home people drove by just to dream of owning the same someday. “That house had a lot of things that many other houses did not have at that time because he was a very innovative man,” explained son Gregg Boury. “And there were a lot of interior renovations made to the house after it was built in 1956, and he added on to it through the years, too. There was an area in the basement that once was a crawl space, but then it was finished, and that’s where the pool table was. 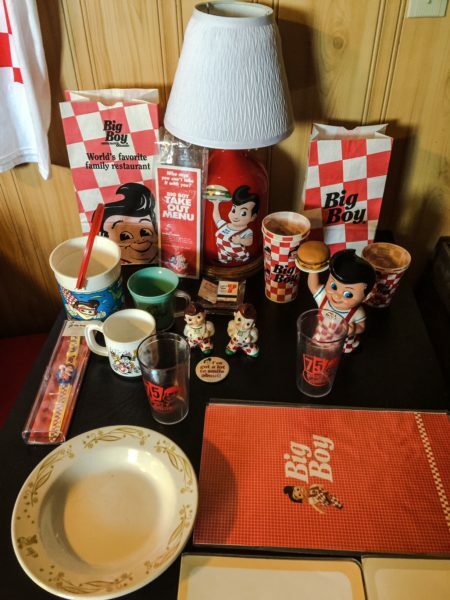 In honor of the Big Boy theme Van Fossen has recreated a booth setting in his home. 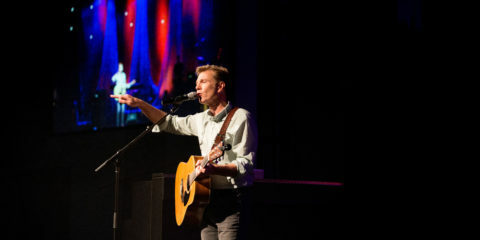 He’s a local vocal artist, and he tours the tri-state region in his own bus. Granted, he has to wash the bus himself, but at least the wagon has “Matt Van Fossen” on the side of it. Not only does Van Fossen perform in the Wheeling area but also across the Buckeye State and beyond. And he does his research in those cities to discover only one thing. “All I want to know is if there is a Big Boy there because if there is, I’m going,” he confessed. “I’ve loved Big Boy since I went to Elby’s as a child with my mom, and it’s always been my favorite place to eat. When Van Fossen says he loves Big Boy, you can believe him. 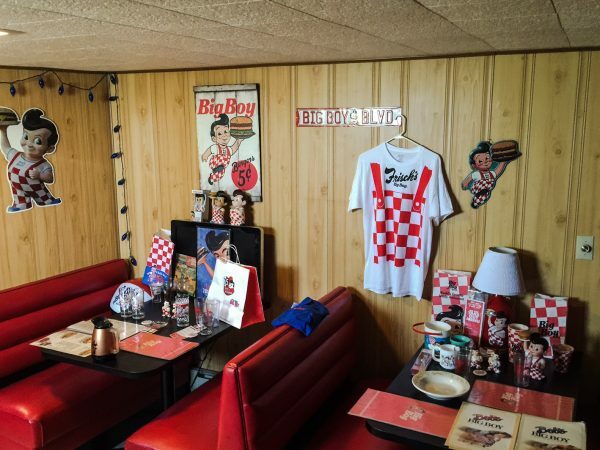 Not only does he collect Elby’s and Big Boy memorabilia from websites like Ebay, but he also often dons vintage T-shirts manufactured when the restaurants were open in the Wheeling area. 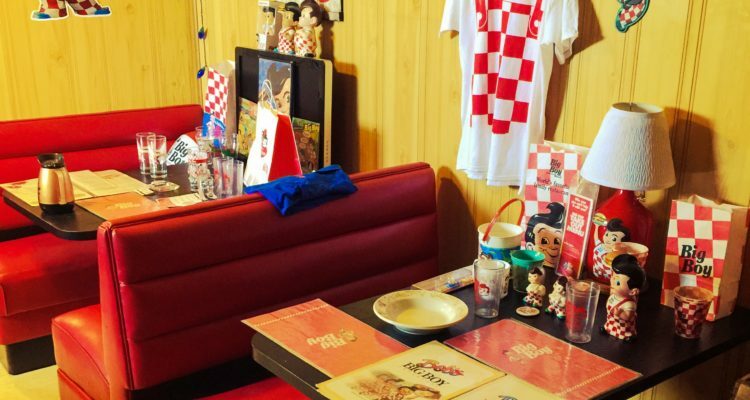 Oh yeah, he’s also renovated a portion of his East Ohio home into an Elby’s atmosphere by setting up a couple of booths complete with all the table fixings once found on all the tables at the 76 Elby’s Family restaurants. “I know some people probably think I’m a little crazy, but it’s really a fun hobby that involves something that I’ve always loved,” he said. “People collect all kinds of things. Some people like stamps and coins and things like that. Me? If it’s got a Big Boy on it, I want it. 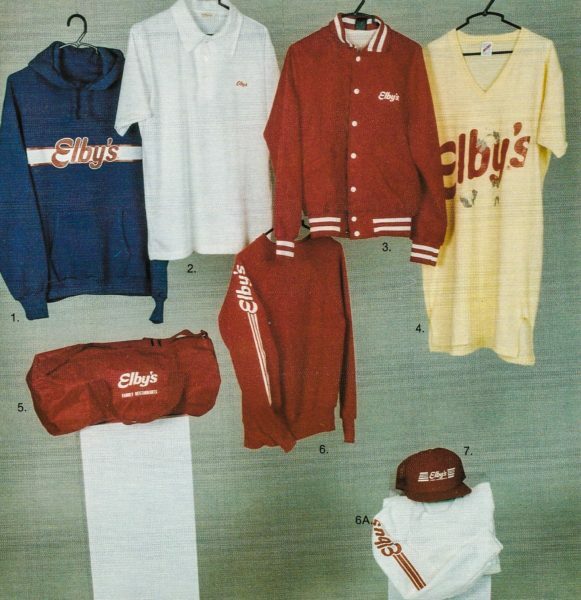 Elby’s Family Restaurants offered “swag” to their employees for discounted prices. That was exactly the goal the Boury brothers had when they opened their first Elby’s in 1956 on National Road in Wheeling. Affordable food, a pleasant atmosphere, and great service were mandated for every single employee during their training. In fact, once Big Boy franchise officials presented the brothers with the company nine-step process for waiters and waitresses, the Bourys implemented the service plan without a second thought. “Those nine steps just make sense if you think about being a customer,” said Boury. “Everyone wants to be acknowledged by a waiter or waitress when they first sit down because that way they know they are going to put their orders in soon. I don’t know many people who aren’t hungry when they go to a restaurant. Local musician Matt Van Fossen has found and purchased many items online. Boury worked for Elby’s at every position from the bottom to the top, and although the Boury brothers sold the franchise to the Elias Brothers more than 20 years ago, he still is able to recall most of the secrets to success. “I don’t remember all of the specifics, but I do remember more today than I thought I would after so much passed time,” Boury said. “The reason I remember what I do is that it was so important to get them exact, and it didn’t matter what Elby’s you were working at. Consistency was absolutely critical. 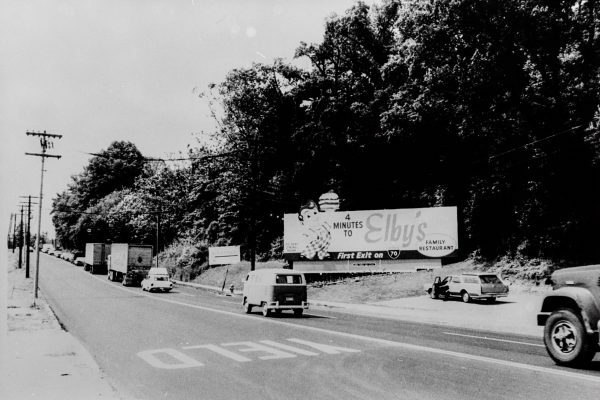 The Boury brothers opened the first Elby’s in Wheeling before Interstate 70 was completed in the area. 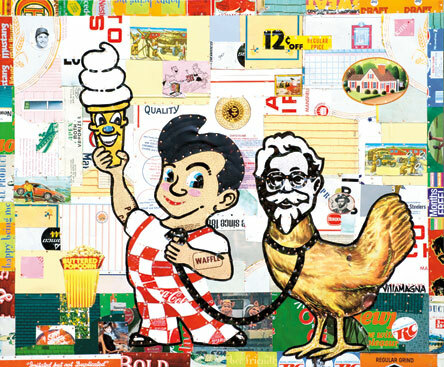 Van Fossen dreams of opening a Big Boy restaurant some day because he is a firm believer today’s Upper Ohio Valley consumers would flock to such a place once again. “When I go to the Big Boy near Columbus, it’s always crowded,” he said. “It’s a Frisch’s, so there are some differences between those and what Elby’s used to be, and they don’t have all of the same things on the menu as did at Elby’s, but it’s still a Big Boy, and it’s still operated the same way. Boury, though, is not as confident as Van Fossen. “I just don’t think that in the end there was enough of a response to the changing tastes and changing times,” Boury said. “And then after the sale the people really did not like the changes that the new owners were making. 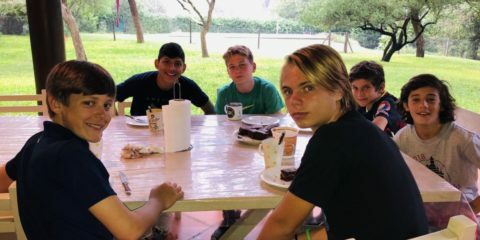 But for many years the lack of flexibility on the brothers’ part early on was a good thing, but when the industry started to change, that lack of flexibility became a negative. But other places still offer the classics and that’s because imitations of the triple-decker Big Boy and the Slim Jim still are often ordered. Local artist Bob Villamagna had some fund with this piece with memories of Elby’s country fried chicken in mind. Another issue pertains to that consistent service at Elby’s that was supervised for more than a couple of decades by Donna Holmberg. 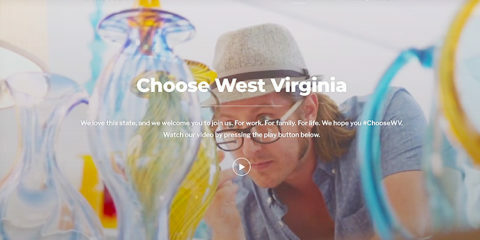 She started with the company as a waitress at the Elby’s adjacent to the Ohio Valley Medical Center in Center Wheeling and scaled to the ladder to service supervisor for the entire chain of eateries prior to departing for a position with the Kroger Co. before the brothers sold to the Elias Brothers. Holmberg was charged with enforcing the rules and those nine steps, and she wonders if such demands would sit well with employees these days. 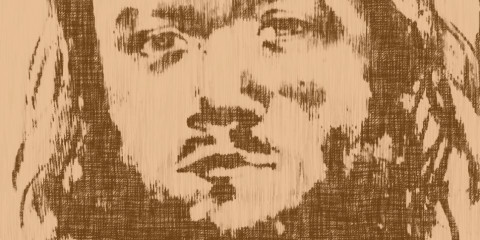 “The work ethic of our society was totally different from what it is today. People then took much more pride in the job they did than they do today,” she said. “Now, that’s not to say that people today don’t take pride in their jobs, but I think overall that today’s work ethic is nothing compared to what it used to be. “It made it easier back then to hire somebody that was willing to do a job that we could be proud of at that time, but we had to take that ball and keep it rolling with the training process,” she said. “It was very detailed, and it was a timely process, but the brothers were not afraid to spend the money to give the employees the training they believed was essential to a successful business. Now? That I’m not too sure about, honestly. “I knew the people in downtown Wheeling would still want their Brawny Lads, Slim Jims, and Big Boys and we sold a lot of those while we had the restaurant,” he recalled. “The only reason we closed that store was that the Wheeling-Pitt building was pretty much empty because of the bankruptcies and the sales of the company. There was not a lot of visibility for the person inside the Big Boy suit. Endsley, though, still believes in the model created by Mike, Ellis, and George Boury. “They weren’t always the best people to work for, but that was because they knew the consistency was what people counted on when they went to an Elby’s,” he said. “If something wasn’t consistent, the brothers let you know it. But that was their job. The letter writing will be highly effective for Zanesville, Cambridge or St. Clairsville should writers have deep pockets and express a desire to franchise a Frisch’s Big Boy. The possibility in Wheeling would be quite a stretch since Frisch’s doesn’t own the Big Boy trademark in West Virginia. Letters concerning Wheeling should go to Big Boy Restaurants International in Warren, MI; same conditions hold. Frisch’s is indeed eager to expand, however, Aziz Hashim and NRD Capital bought Frisch’s Big Boy not to be operators but to sell franchises to others. 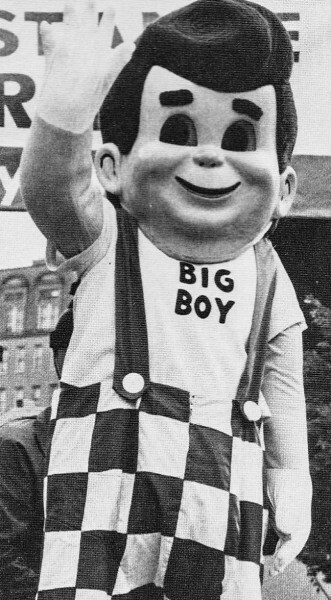 Despite even grander plans, Big Boy Restaurants International, successor to the infamous Elias Brothers, has never opened company owned restaurants outside of Michigan (but would happily sell a franchise for a Wheeling Big Boy). St. Clairsville, and Wheeling. So let them know how you feel. I worked for Elbys for years in Erie PA in the 70s & 80s and loved it! Mike Boury was our district manager. It was a great place at one time and if the 9 steps are truly followed any restaurant could be great but none will hold a candle to the old Elbys! The Highlands was a huge mistake. They should have done Cabela’s and ended it right there. The money used for the ongoing eyesore development could have preserved and upgraded much of downtown, no? Anyway, history is important to preserve and it generates endless economic benefits. Big box stores in an ugly development won’t. I guarantee it. Thanks for the articles! THIS HAS BEEN A TRULY GREAT SERIES. 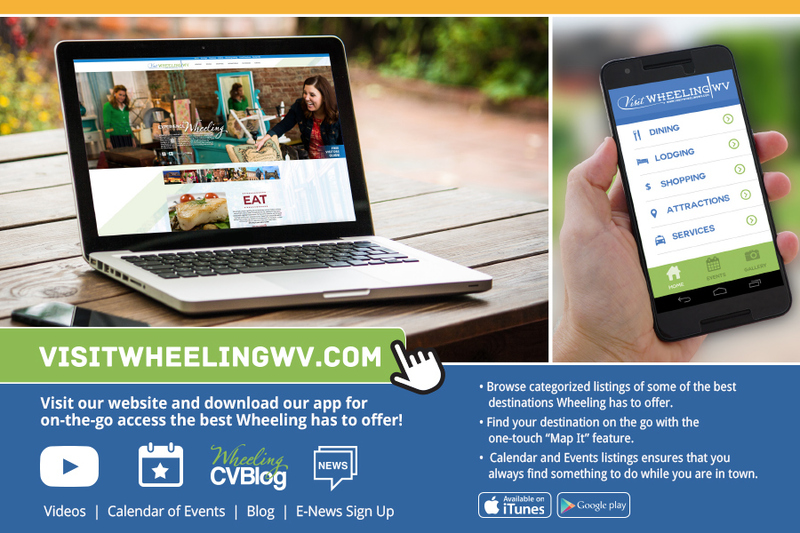 ONLY WEELUNK SUPPLIES SO MANY FACTS AND INSIGHTS INTO WHEELING’S LEGENDARY PAST. KEEP THE HISTORY COMING! Thank you Jack! I learned from the best, you know! It could work…I also concur with what Jay D said. Donna Holmberg came and trained our crew in New Mart a number of times…she also makes a few good points. With a good work force, the 9 steps, product consistency, the old recipes, and an up to date streamlined menu that also features the old favorites and a location in downtown Wheeling…locals and surrounding areas would flock to a “new Elby’s”. Maybe not long from now when downtown Wheeling is back in full swing getting repopulated it could work. The new Health Plan lunch crowd (big or small) will be a for sure and it remains to be seen if the future residents of the new apartment complexes under construction become a significant factor in the downtown spending equation. Downtown now has 5 or 6 smallish “niche” restaurants but nothing like a full service family restaurant…a’la Elby’s. Forget The Highlands, it’s saturated. In the future it would be great if the conditions are ripe enough for another restaurant entrepreneur to take the (Elby’s-style) plunge. But.. this popular Weelunk series notwithstanding, a new “Elby’s” won’t survive on nostalgia alone. Just maybe though some new generations could have an opportunity for the Elby dining experience.